There isn’t a single Thanksgiving Day food item that I like. How about you? When I was a child we lived far away from both sets of grandparents, thus generally spent the T-day with friends and assorted semi-relatives (to my father, that would be anyone from Montana.) I don’t think we ever shared turkey with the same group of people. Every year it was a new group, a fact I attributed to Mother’s oyster stuffing (sorry Mom). I’m sure oyster stuffing (like tuna noodle casserole) has evolved over the years into something divine but back then mother’d mix together a can of oysters, cream of mushroom soup, Lipton’s Onion Soup, some old dried up bread, soy sauce and a dash of powdered garlic which she would stuff into a large dead bird and cook. It looked almost as bad as it tasted. Generally you can expect a treat after being forced to eat a meal simply because of tradition, some special cake or candy, but not Thanksgiving. Someone would always show up with a mincemeat pie which had to be tasted out of kindness. With its filling of suet (mutton fat found either in the loins or kidneys), blood raisins, dried prunes and other fruits, all highly spiced and baked in a cornmeal crust, it was quite a treat for a child’s palate. Yum! Although I’ve managed to stir hubby clear of oyster stuffing and mincemeat pie, every November I wait in dread for the moment when he announces “It’s time!” Time to make the most tasteless waste of calories ever invented. Before I tell you what drives hubby even goofier than he already is, I must to point out that this is a man who considers himself a gourmet. He’s bought every kitchen gadget known to man, owns over two hundred cookbooks and watches every frigging cooking show on the telly. And yet, can you guess what he simply cannot go with out once Thanksgiving nears? 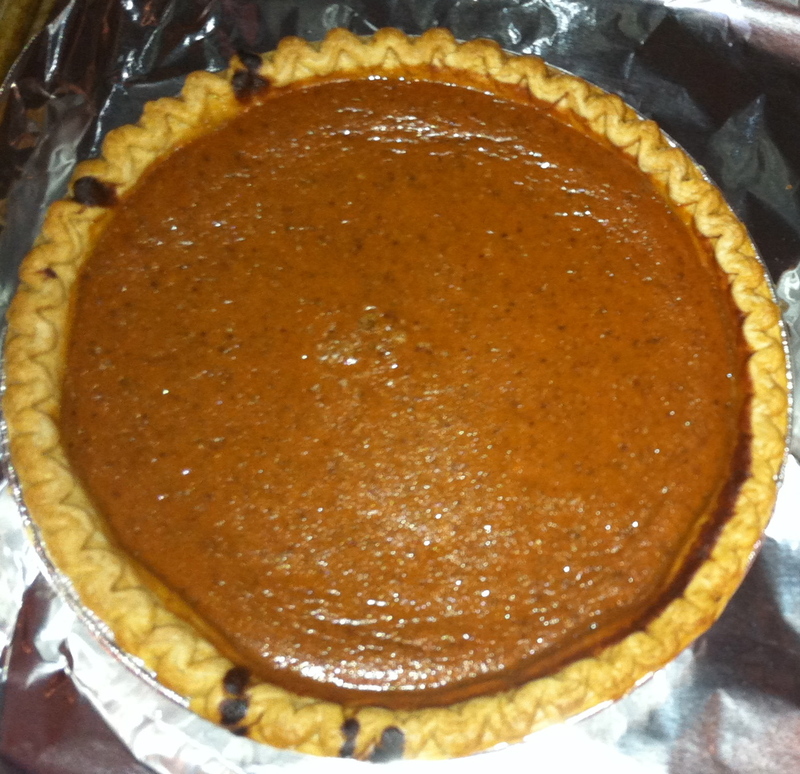 Joel’s old fashioned pumpkin pie – it actually tasted really good. Course, maybe it was the whipped cream. But not gourmet pumpkin pie. Oh no, the kind his mother made. Right out of the can. 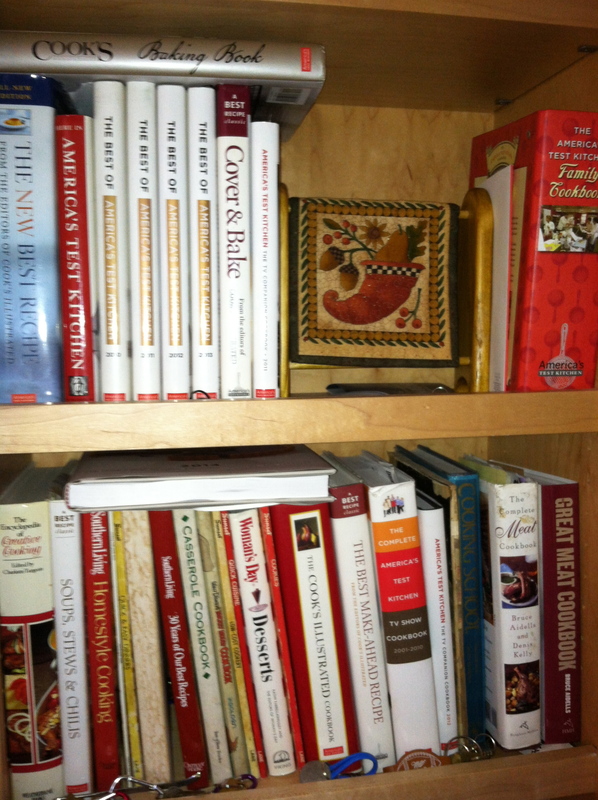 Next week I’ll post the results of the Most Hated T-Day Food Poll. Make sure to add your vote!